Halogen HPX illumination and fiber optics to the distal tip for easy examinations. Halogen HPX™ Lamp that provides 30% more light output, for true tissue color and consistent, long lasting illumination. Fiber optics for cool light with no reflections, no obstruction. Wide-angle viewing lens for instrumentation under magnification. 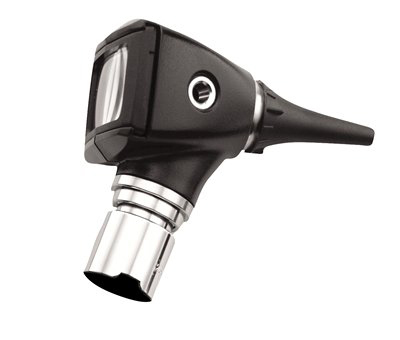 Sealed system for pneumatic otoscopy. Includes four polypropylene specula, sizes 2.5, 3, 4, 5 mm. 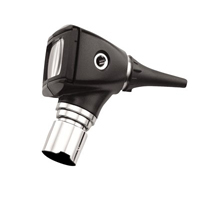 Incompatible with Welch Allyn throat illuminator and nasal illuminators. Power Source or handle not included.